Next week is a big one for Rock Band, with Harmonix announcing ten tracks hitting the Rock Band Music Store from six bands, including The Allman Brothers Band, Luscious Jackson, and triple-dose of Franz Ferdinand. 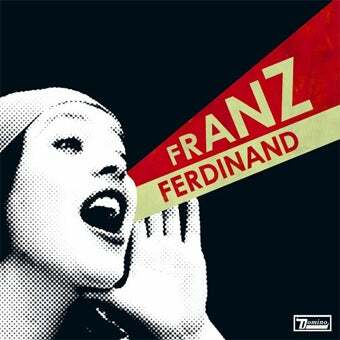 Franz Ferdinand's "Take Me Out" finally makes its way to Rock Band next week, having been a popular song amongst the video game karaoke seen for quite some time now. The song, along with "Do You Want To" and "Lucid Dreams" makes up the Franz Ferdinand Three Pack, with the songs of course also available individually for those of us who only recognize that one. Classic rock fans should get a kick out of a pair of offerings from The Allman Brothers Band, with "Blue Sky" and "Midnight Rider" both joining the Rock Band line up. New York City metal band Prong also scores a twofer in their Rock Band debut with two songs from their 2007 Power of the Damager album, "The Banishment" and "Idealistic Types". Luscious Jackson's "Naked Eye", Alien Ant Farm's cover of Michael Jackson's "Smooth Criminal", and The Distillers "Drain the Blood" make up the remainder of next week's update, available on May 5th for the Xbox 360 and May 7th for the PlayStation 3. In a related note, I had forgotten how much I loved the song "Naked Eye", and will now have to play it 200 times before I get sick of it again.